The BluSynergy system is designed to allow you to easily manage your subscriptions (recurring charges), invoices and payments thus handling the entire accounts receivables or “order-to-cash” processes. The fundamentals of a billing system are depicted in Fig 1. below. Configure one-time system settings like currencies supported, the billing cycle period, due dates, etc. for your Organization. You can also authorize other Staff members (i.e., employees) to access the system. Create your Plans and Products – this activity defines what billing plans are available and how the charging (billing) works for each plan. See section 2. If you are performing any kind of usage-based billing (a.k.a, metered billing), then the Usage Activity data must be periodically uploaded to the BluBilling system before the billing process runs. This may be done via a file upload or programmatically (refer to the developer’s guide). If you are not performing any kind of usage billing, then this step may be omitted. 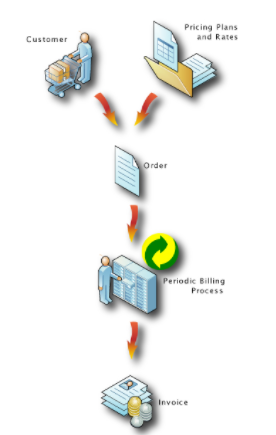 The system periodically executes the billing process and generates invoices (i.e. bills or statements). 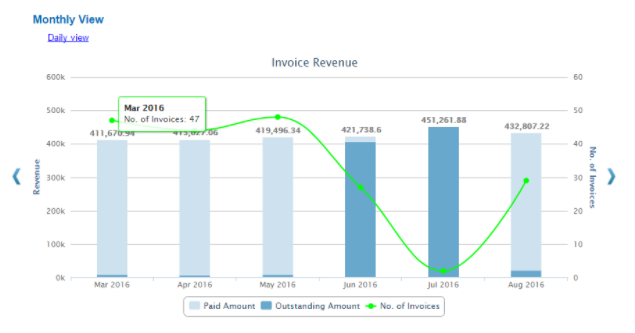 The periodicity with which it runs (e.g., daily, monthly) is controlled by the billing configuration in step 1 above. The invoices are presented to customers. Payments for auto-pay customers are also processed at this time. You may review the Orders processed, the Invoices generated, previous unpaid balances or Payments carried forward, etc. by viewing the Billing Cycles (section 6.) You can also manually perform a billing run if you desire. Customers will remit Payments, either by logging into the BluBilling application and using credit cards/bank draft or by other means (e.g., mailed-in paper checks to your office). Either the customer or the Organization’s staff may enter these payments. Payments received after the due date will be assessed late fees if so configured in the Plan Charges. Steps 4 through 6 above will be repeated periodically for each billing cycle.